Dean Creative is a virtual print and digital advertising agency in Los Angeles. Its new portfolio is presented in gallery form (like a lightbox) showcasing images for fast viewing. Plus, there is a second option to view the work with creative rationales to gain insight into the strategic positioning of the various advertising campaigns. DeanCreative.com also features in-depth information about the print and digital advertising agency in Los Angeles, CA that serves clients in cities across the US. Founder and Creative Director Brian Dean said, “We’re thrilled to showcase our conceptual advertising and design portfolio and we hope to wow many potential new clients.” Portfolio pieces include all major media from print ads, collateral, and branding to websites, digital advertising, and video. Dean Creative is a virtual print and digital advertising agency in Los Angeles, CA. Its partners are independent freelancers working together in teams to serve clients more creatively and cost-effectively. Dean Creative serves clients on both coasts in entertainment, high-tech, healthcare, sports marketing, associations, nonprofits, and more. The principal is Brian Dean, freelance creative director and copywriter. Co-principal is Peggy Kearns Dean, a senior copywriter, editor, and proofreader. Other creative partners include freelancers in brand strategy, graphic design, art direction, videography, web development, social media, and web marketing. 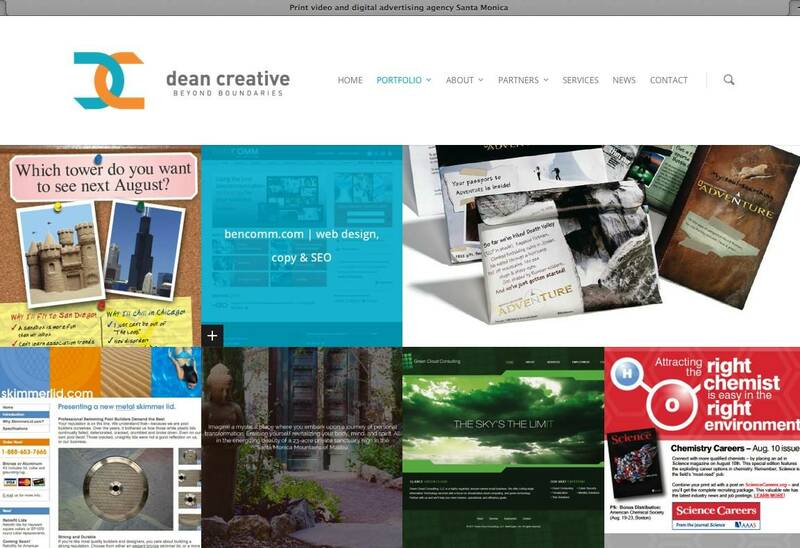 Dean Creative began in spring 2000 by Brian Dean as a freelance copywriting service in Alexandria, VA (in metropolitan Washington, DC). Before long, Dean partnered with other freelancers to provide creative services to advertising agencies, design firms, businesses, and nonprofits that need added creative support. In 2011, Dean Creative opened a location in Santa Monica, CA just outside Los Angeles. Learn more at deancreative.com.